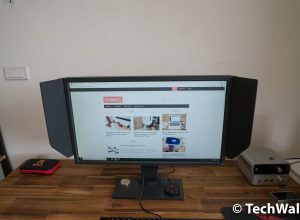 I’d always used the Philips Fidelio wireless soundbar for my home entertainment system in the last few years and I was quite satisfied with the product. However, it started showing the limitation when I moved to a larger apartment. It’s underpowered and sometimes I can’t hear vocals clearly. 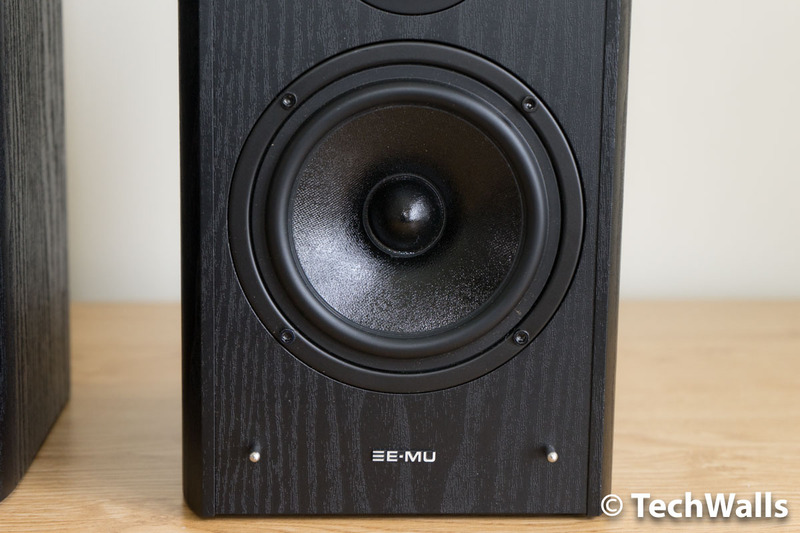 When I received the Creative E-MU XM7 bookshelf speakers, I didn’t expect much because they look fairly small. How do the speakers perform? Let’s find out in the review. There is nothing special about the design of the Creative E-MU XM7. The product includes a pair of speakers measuring 9.14″ x 6.85″ x 11.7″. Inside the box, you can also find a pair of 2.5m speaker cables. The speakers are significantly smaller and lighter than my previous bookshelf speakers from Polk Audio, each of them weighs less than 10 lbs. 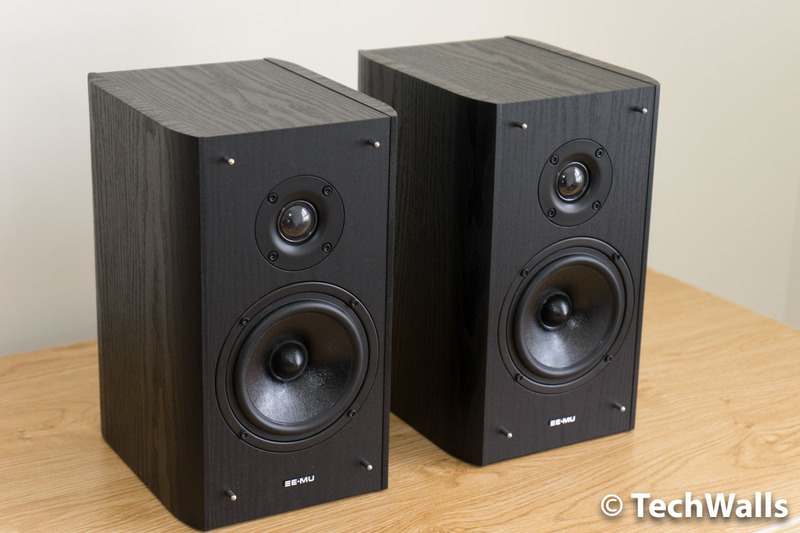 The Creative speakers feature a traditional design, they look like most other speakers on the market. The front of the speaker sports a custom-designed 5-inch woofer and a 1-inch silk dome tweeter covered in a soft grille. On the back, there are a port tube to boost the lows and a pair of gold-plated binding posts. The whole speaker comes in a wooden enclosure that feels so classic and sturdy. 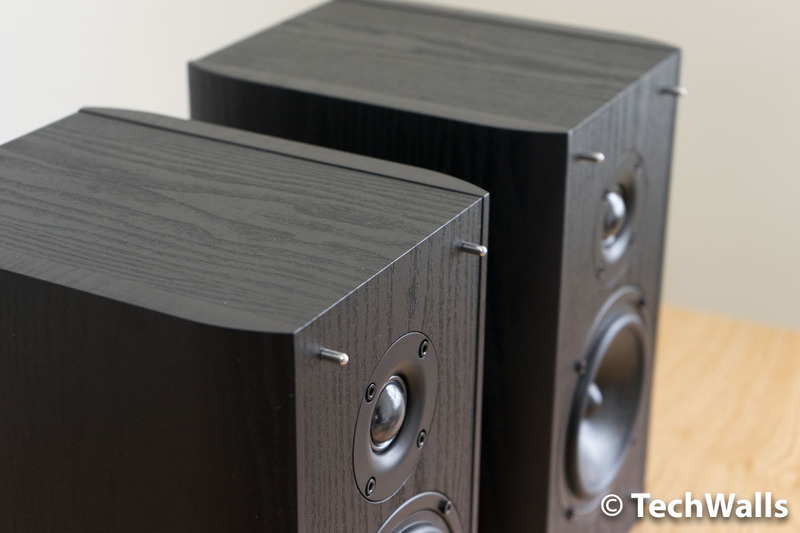 My speakers come in black wood grain, you can also get the version in light brown and metallic gray finish. You can use your own receiver to drive the Creative E-MU XM7 speakers. However, if you don’t have one, I’d recommend you to buy the Creative Sound Blaster X7 DAC/Amp. They are a great couple and you will save a lot of money buying this bundle. I hook up the speakers to the X7 and turn them into a wireless system, then I can easily stream music from my smartphone to the system. I still remember the moment I hit the Play button on my phone, I was totally impressed with the sound coming from the 2 speakers. I kept enjoying the music for the next few hours until I realized it was time for dinner. 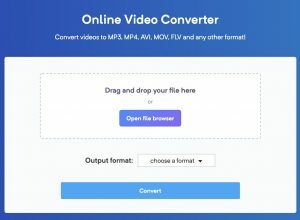 You can check out the sound test in this video. At the time testing the speakers, I was also trying some other wireless speakers and soundbars. 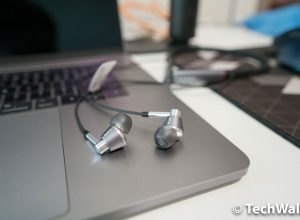 The E-MU XM7 immediately stood out of the crowd because of its amazing level of details, clarity, and accuracy. On the first few days, I just played some Pop/EDM music from my Google Play Store library. I was so addicted to the accurate reproduction with a slightly boosted bass response. 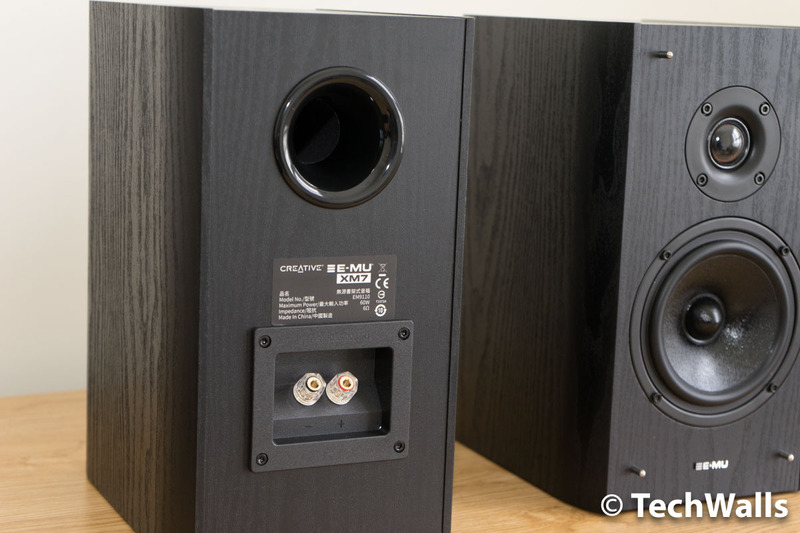 Many other bookshelf speakers will require an additional subwoofer in order to create a respectable bass but you don’t need one in this case. I place the speakers in a 450 sq. ft apartment and the amount of bass is admirable. It is deep and tight enough for those EDM tracks and I can hear thunderous sound when watching movies. Meanwhile, the mids are present and I can hear the vocals more clearly than ever while the treble is totally clean and doesn’t cause any spike. The soundstage is fairly good, especially when I sit in front of the 2 speakers. There is no distortion and hissing sound. 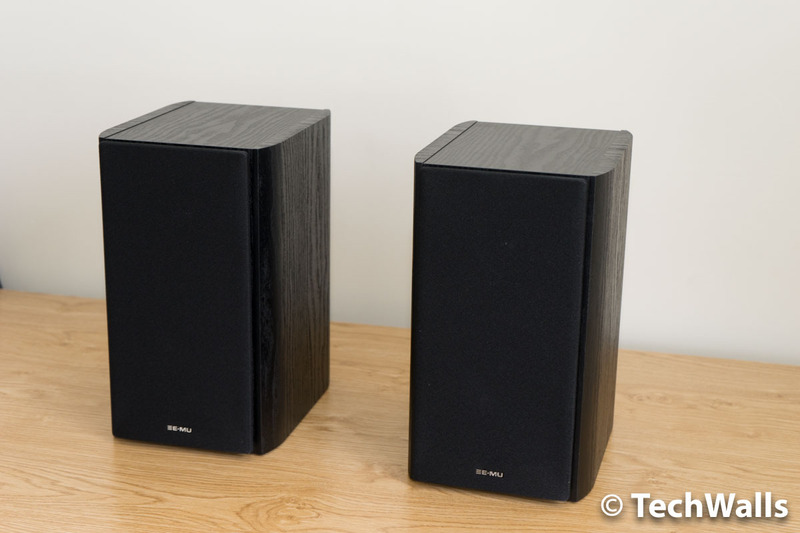 The speakers are also quite powerful as they can deliver up to 60W per channel. 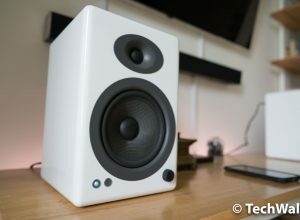 Although I’ve just used the Creative E-MU XM7 speakers for a few weeks, they’ve already become my favorites and deserve a place in my living room. I highly recommend the product. A perfect home audio gear for audiophiles without breaking the bank.